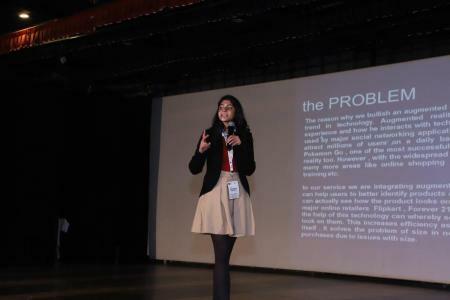 Learning Paths School in collaboration with Ashoka University, a private research university with a focus on liberal arts, located in Sonipat, Haryana, organized the first edition of “LPS Business Conclave 17” the Annual Inter-School Business Congregation, in the last week of November 2017, 24th -25th November. It was an attempt to bring together the creative acumen of young minds and unleash their innovative and entrepreneurial potential and test their business sense, awareness, skills and attitude. The Class X, XI and XII students from fourteen schools across Northern India participated in a variety of challenging competitions like Lets Start Up (Business Plan Competition), WorQ (Business Quiz), IntellecView (POV Paper presentation), Grahak Jagran (Skit Competition), Tol Mol Ke Bol(Infomercial), Express to Impress (Commercial Video), ADVAD (AD Poster Making), Corporate Roadies (Workplace Skills Competition), Business Titan Challenge (An online Business Strategy Simulation Game). 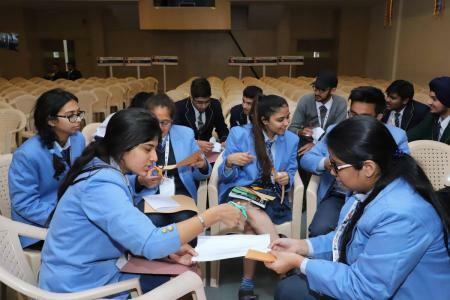 There was fierce competition in the Inter School Business Quiz in which top 6 teams, Springdale Senior School, Amritsar; DRA Bhawan Vidyalaya, Chandigarh; Vivek High School, Chandigarh; St. Kabir Public School, Chandigarh; AKSIPS, Chandigarh and Learning Paths School, Mohali qualified for the final stage. 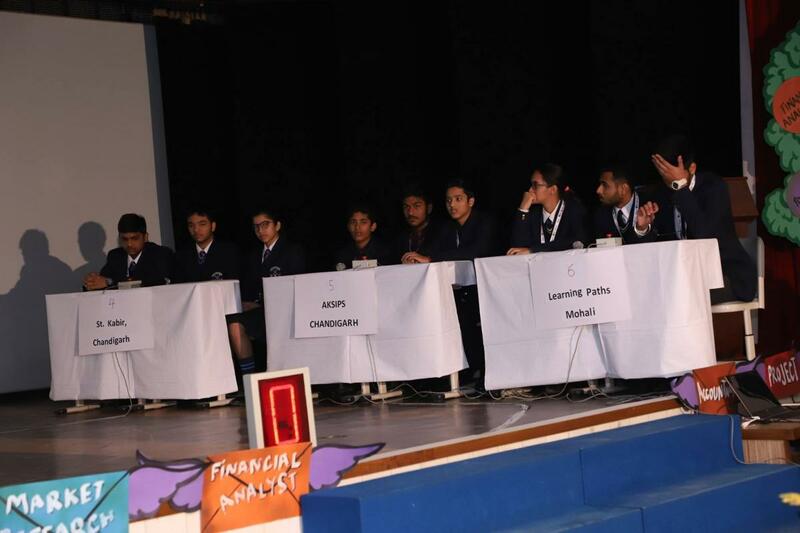 Till the end, this competition tested the nerves and was very challenging. 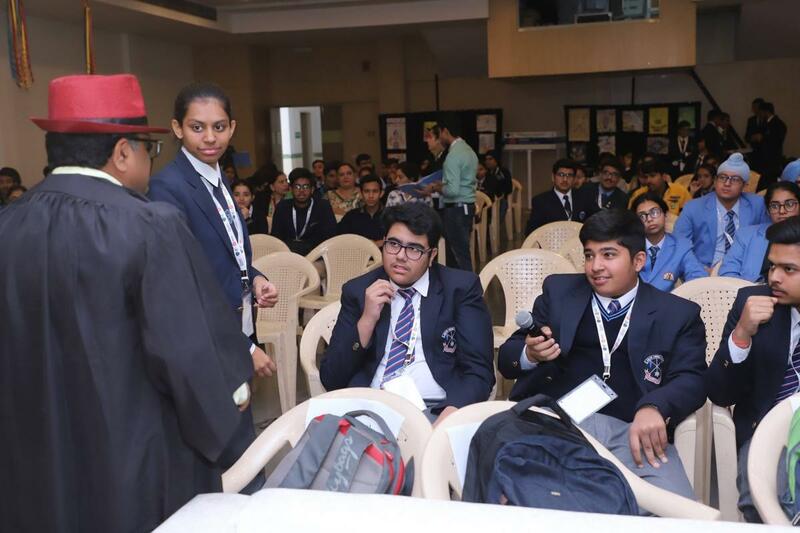 There was a tie in the end between Springdale School and Bhawan Vidyalaya. 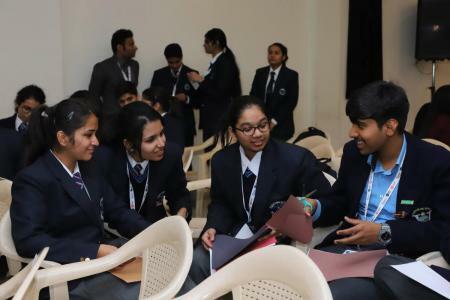 In the tie breaker, DRA Bhawan Vidyalaya emerged as winners and lifted the winner’s trophy. First runners up were Springdale School andVivek High School, Chandigarh finished at third spot. Overall, it was a great learning for the participants and other attendees. 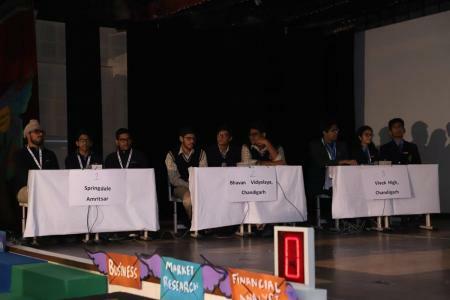 This competition had participations from 13 teams and was spread over two days. 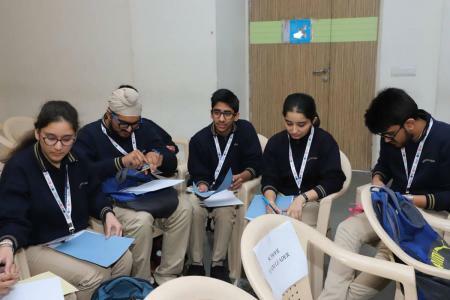 Top 6 teams who qualified for the next stage were; 2 teams each from Springdale Senior School and Sat Paul Mittal School, Ludhiana, Amritsar; 1 team each from Strawberry Fields High School, Chandigarh and Vivek High School, Chandigarh. Till the end, this competition tested the nerves and was very stimulating. 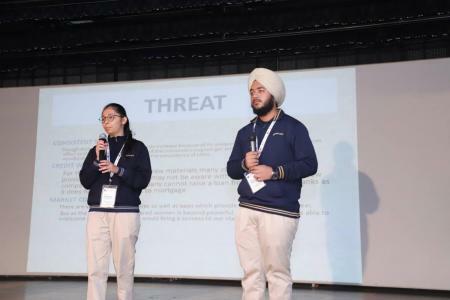 Team of Savleen Batra and Ridham Chadha from Springdale Senior School, Amritsar emerged as winners and lifted the winner’s trophy. 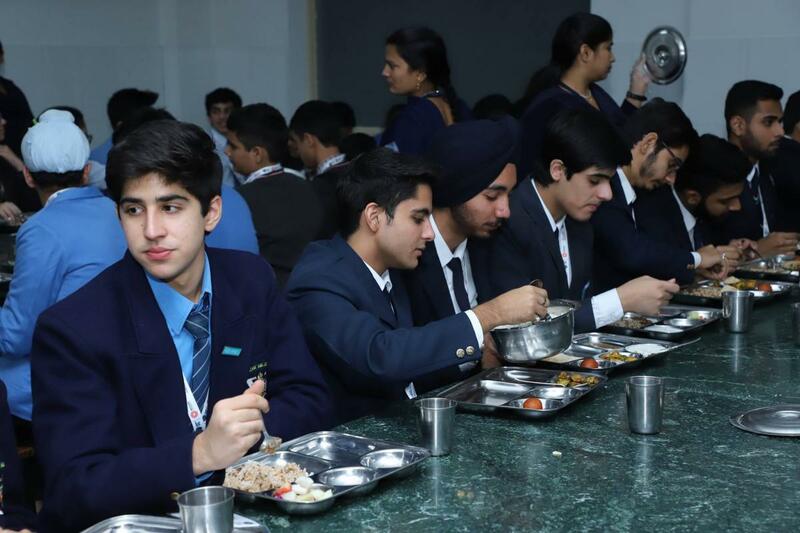 First runners up were Parn Narang and Rajvir Oswal from Sat Paul Mittal School, Ludhiana and Mannat Jain and Tushar Bansal from Strawberry Fields High School, Chandigarh finished at third spot. – Does India need a bullet train? There were 18 participants in this competition and each one gave a very tough fight to each other as they presented their papers in a very professional manner. 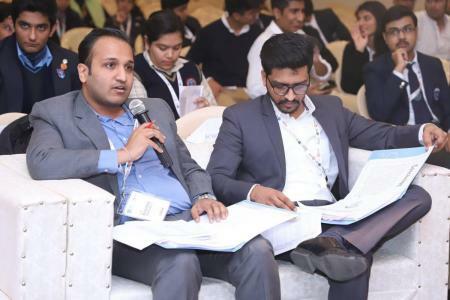 The Judges for this competition were; Dr. Vikram Ahuja, Director with Zamindara Farm Solutionsand Mr. Raghav Malhotra, Assistant Director with Ernst and Young, Chandigarh. 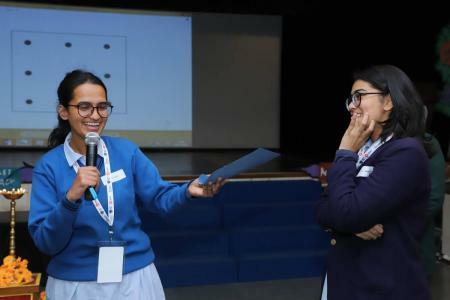 The top position was won by Khushi Satviki of St. Kabir Public School, Chandigarh, First runner up was Pratham Kalra from Vivek High School, Chandigarh and third spot was won by Rahat Sandhu from Springdale Senior School, Amritsar. Grahak Jagran – A Skit to educate on Consumer rights. In this competition, the teams were to showcase their ability to educate general public about consumer rights awareness through askit of not more 3 minutes. It was mandatory to cover six basic rights of the consumer and it was expected to be creative, innovative, humorous and impactful. In all there were 6 teams and each team comprised of 6 members. 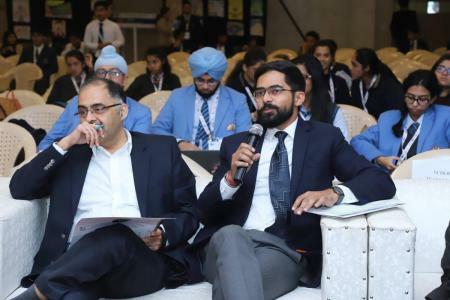 The judges for the said competition were; Mr. Dharmesh Mehta, CEO and Founder of Yellow Cursor, Mr. Amandeep Singh, a Mechanical Engineer, Project Manager at uTrade Solutions. The top position was won by Sat Paul Mittal School, Ludhiana; First runner up was Learning Paths School, Mohali and third spot was won by Strawberry FieldsHigh School, Chandigarh. 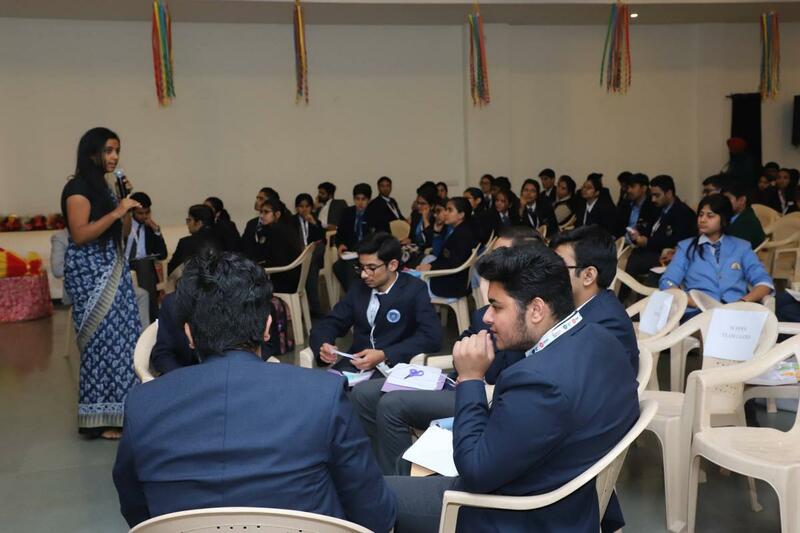 It was a competition where all the teams were provided with interesting items like thread, railway plat form ticket, tissue paper etc. on which they were required to createan infomercial. The duration of infomercial by each team was supposed to be not more than 3 minutes. In all, there were 5 teams and each team comprised of 5-6 members. The judges for the said competition were; Mr. Dharmesh Mehta, CEO and Founder of Yellow Cursor, Mr. Amandeep Singh, a Mechanical Engineer, Project Manager at uTrade Solutions. The top position was won by Strawberry Fields High School, Chandigarh; First runner up was Sat Paul Mittal School, Ludhianaand third spot was won by Springdale Senior School, Chandigarh. 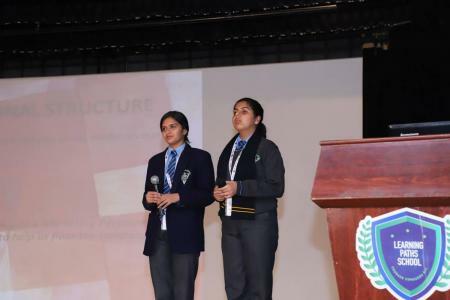 In this competition, participants were to prepare a commercial video on any product or service dealing with issues related to Health,Lifestyle, Environment, Food wastage or Business Social Responsibility. The commercial video was expected to grab theviewers’ attention. The commercial video was to be uploaded on the website provided by Learning Paths School. 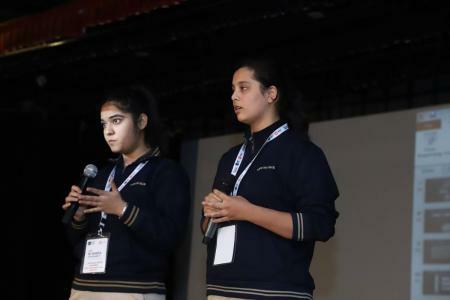 LPS posted the submitted commercial videos publicly on the Facebook Page,where a public voting based on “likes” was conducted.The team who obtained the most “likes” on Facebook was declared the best commercial video.The top position was won by Springdale Senior School, Amritsar; First runner up was Learning Paths School, Mohali and third spot was won by Chitkara International School, Chandigarh. 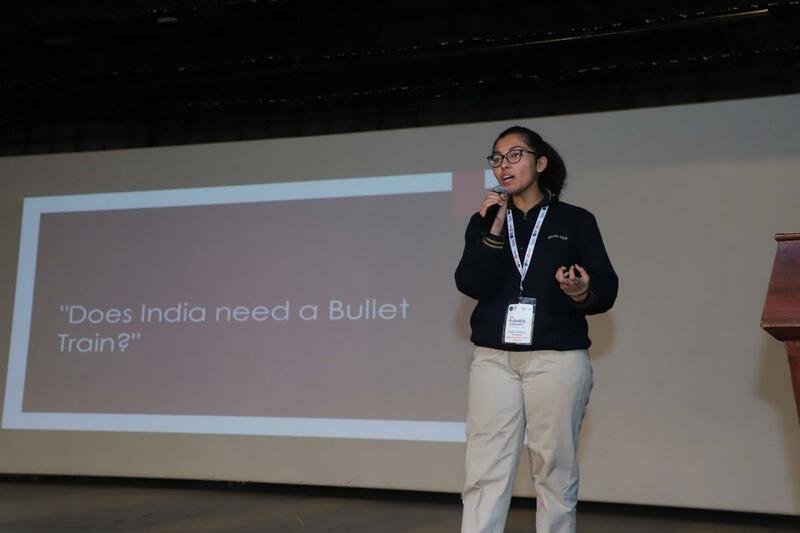 This competition was a unique one for students. There was an overwhelming response from the participants. Each individual participant was to be tested for their Career Readiness & Employability Skills. 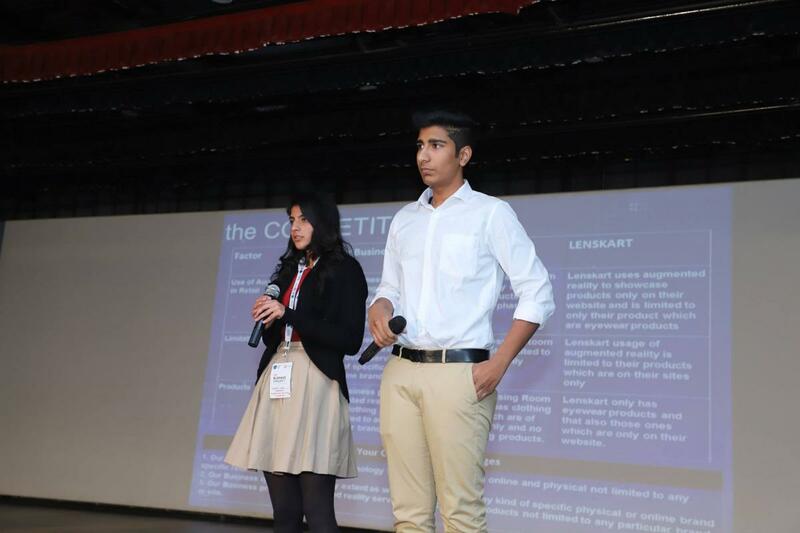 They were required to indicate their professional interestwhich they are looking to pursue in their future. 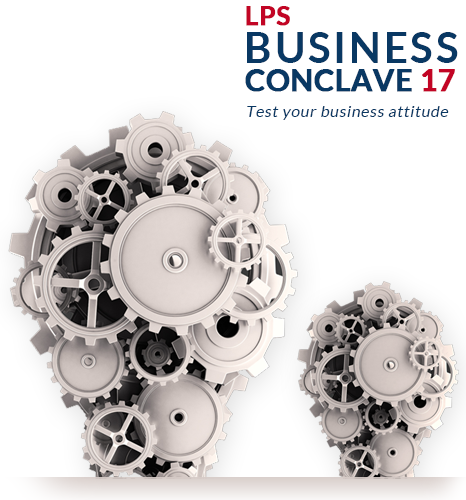 They were tested through the various stages of recruitment process which a company conducts tochoose a right candidate for a job. Every participant submitted their resume, appeared for a written test,participated in some activities to demonstrate their communication skills, ability to work in a team, leadership,problem solving, analytical and technical skills and finally appeared for an interview and personality test.The top position was won by Anshalika of St. Kabir Public School; First runner up was Cherag Kundra from Springdale Senior School, Amritsar and third spot was won by Chakshat of Police DAV Public School, Jalandhar. 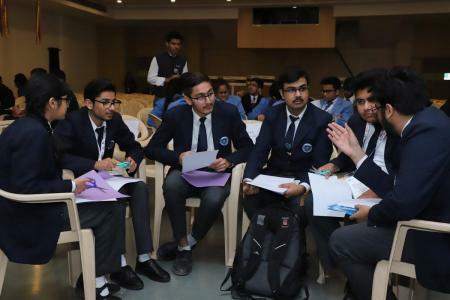 This competition was a great opportunity for the students to get a feel of running a business by acting as ChiefExecuting Officers of a virtual business and compete in an open market. It’s an online program that allows teamsof high school students to act as chief executive officers of virtual manufacturing companies and compete toearn the highest performance index. The team with highest performance index won thecompetition.There was an overwhelming response and 23 teams participated in this competition. 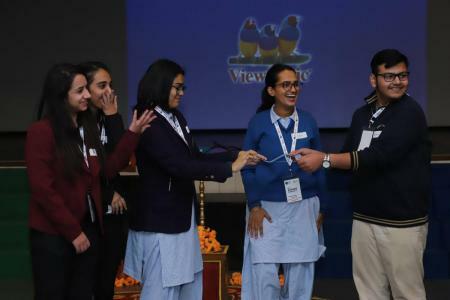 The top position was won by St. Kabir Public School, Chandigarh; First runner up was DRA Bhawan Vidyalaya, Chandigarh and third spot was won by Vivek High School, Chandigarh.